A perfect choice for high use permanent courses and tournament play. 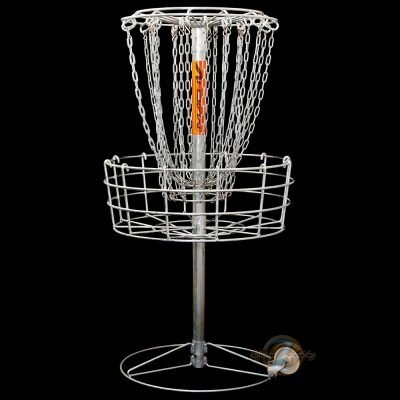 The The Mach V Disc Pole Hole is the perfect choice for college campuses, town parks, high use disc golf courses and for Championship tournament play. 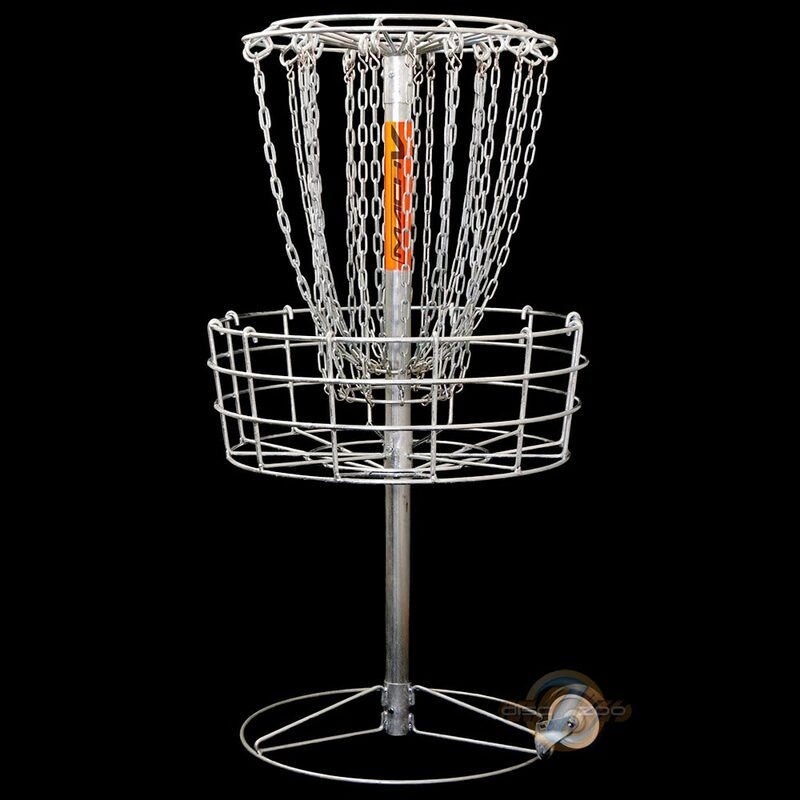 The Mach V is renowned for being the most advanced and innovative Disc Pole Hole available. The Mach V’s staggered inner chains creates both a wall of chain that catches fast hard disc throws as well as slow finesse putts. The staggered inner chain design layout has the effect of decelerating a disc as it hits each successive row of chain. The outer row of chain utilizes our patented sliding link design and slows the disc considerably before it hits the second middle row of hanging chain. The inner most row of chain prevents high velocity discs form bouncing off the central pole. All DGA Mach V baskets are supplied with the Deluxe Mounting Option. This includes a lockable collar and ground anchor, giving you the flexibility to have multiple basket positions. The portable base shown in the picture is also available on request.